We both graduated from Luther College in Decorah, Iowa in 1996. 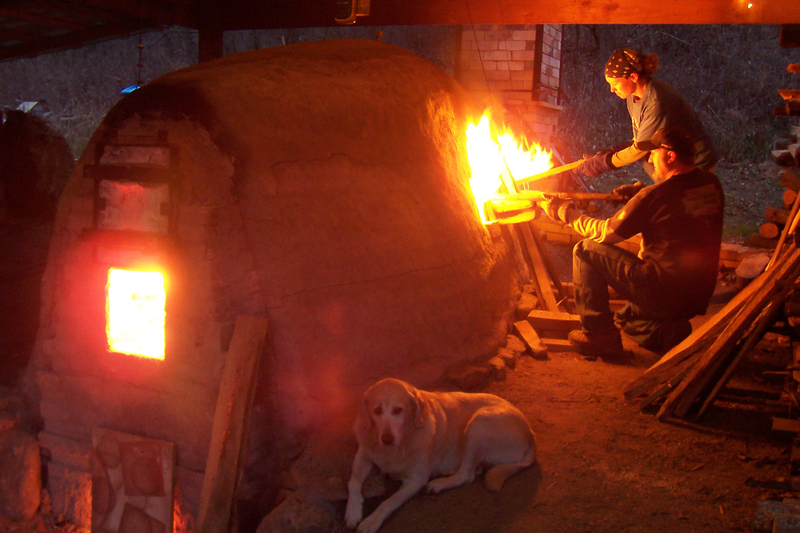 In 1997, we moved to North Carolina to apprentice with Mark Hewitt (a former student of Michael Cardew), who is widely known for his large, wood-fired pots. Here, we gained experience firing Hewitt’s enormous 900 cu. 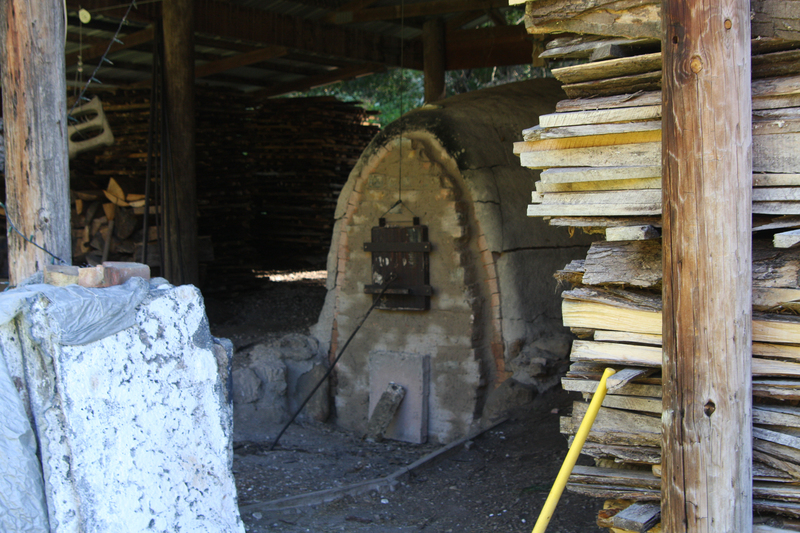 ft. anagama-style kiln, and were introduced to the folk tradition of alkaline (ash) glazed pottery from the Lincoln and Catawba counties of North Carolina. Our experiences in North Carolina with Mark Hewitt remain a strong influence in our work today. 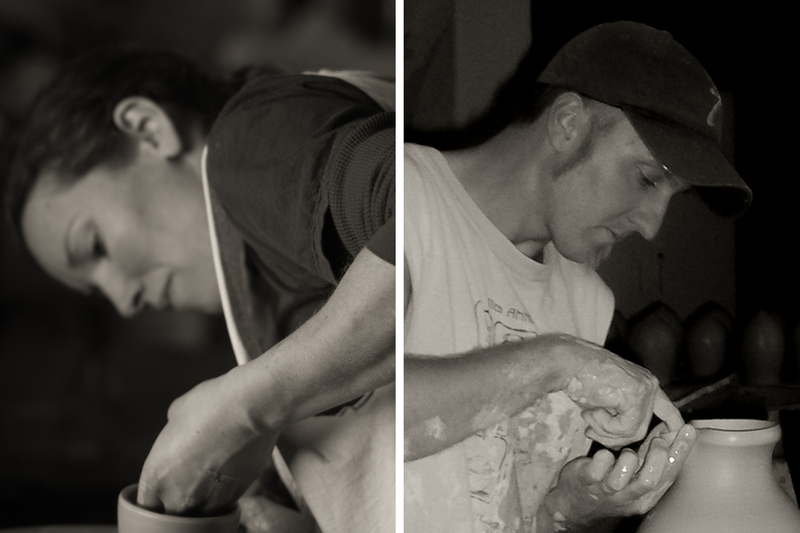 After our apprenticeship ended in the May of 1999, we returned to the Midwest and spent that summer assisting good friend and fellow wood-firing potter Mark Skudlarek in the construction of his new, three-chambered climbing kiln in Cambridge, Wisconsin. We also carefully dismantled Skudlarek’s old kiln ,and salvaged the bricks to reuse in our own kiln. In the fall of 1999 we moved to a farm near New Albin, Iowa—close to the town of Decorah—where we spent the first few months transforming a small chicken coop and wood storage shed into a workshop. The kiln shed was built in May of 2000, and we started construction of the kiln that summer, with the first brick laid on the Fourth of July. 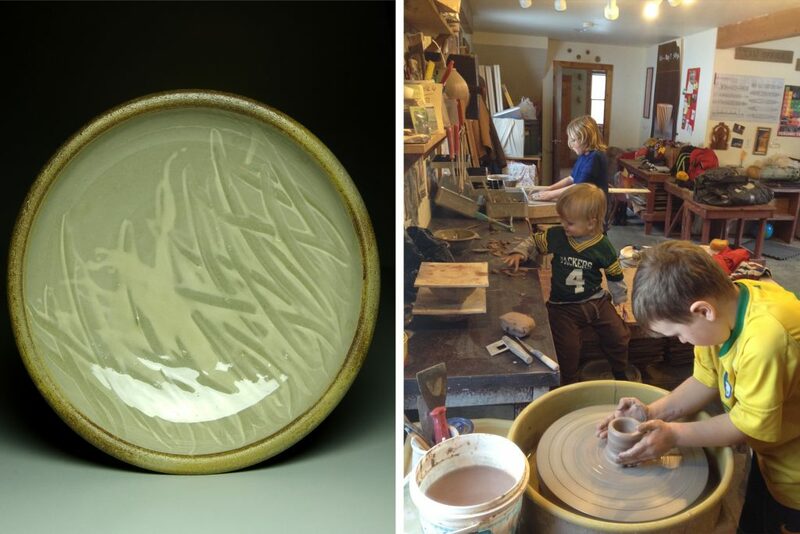 A large group of friends and family came out to celebrate and help with the first firing in September of 2000, and Allamakee Wood-Fired Pottery has been up and running ever since. We spent most of 2003 building a new house and workshop, and in January of 2004, we moved down the road to our current location. We sell our pottery at home sales twice a year as part of local Studio Tours, and again at a Holiday Sale in November. Our pottery is also available at galleries around the area. Thanks for reading our story! Take a look at the items in our shop to bring some of our work into your home or garden.